Lost in his memories, Richard stood on the bridge that spanned the river as the tour guide delivered his spiel about the awesome falls. He’d been saving for this trip for two long years, and now their wedding anniversary had arrived. The illness had taken her from him, just six months before their anniversary. Towards the end, Claire had made him promise not to cancel their holiday. ‘Just look at that rainbow, Richard!’ Claire’s joyful voice sounded inside his head. Richard focused on the vibrant colours, blinking back the teardrops that threatened to flow like the cascading waters of the falls. Rainbowbywaterfall. Licenced under Public Domain. 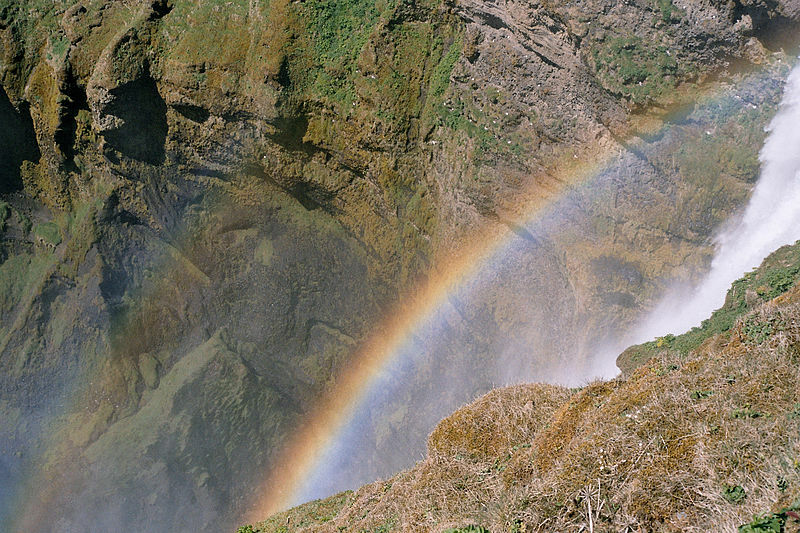 This rainbow is in Iceland, but they are common in the water vapour /spray around many waterfalls. Today’s prompt brought to mind a waterfall that I’ve looked at in geography lessons with Year 8 on several occasions. I don’t know whether the picture is of the Angel Falls or not, but there’s a definite similarity. I’ve never seen a photo showing a bridge, however, so it could well be somewhere else. For anyone interested, here’s a little bit of information about the Angel Falls, mostly from Wikimedia, but other snippets from various sites. Angel Falls is situated in the Canaima National Park in Venezuela (South America) and is a UNESCO World Heritage Site. It is on the Guaja River (sometimes called the Kerep River or Kerepacupai). It is the highest uninterrupted waterfall in the world, dropping almost a kilometer (979 meters/3212 feet) from a cleft near the summit of table top mountain, Auyán-tepu, into Devil’s Canyon below. It is five times higher than the Niagara Falls and three times as high as the Eiffel Tower in Paris. Salto Angel in the dry season. Author: Tomaszp. Angel Fall was named after the American airborne gold prospector, Jimmie Angel. In 1933, he flew over the falls in his Flamingo monoplane in search of a valuable ore bed. In 1937 he returned with his second wife, Marie, on board, along with acquaintances Gustavo Henry and Miguel Delgado. Although landing successfully at the summit of the falls, the plane’s wheels became stuck in the mud and they had to walk 12 miles through the jungle, which took 12 days. News of their adventure spread and the waterfall was named Angel Falls in his honour. The common Spanish name for the waterfall, ‘Salto Angel’, was first published on a Venezuelan government map in December 1939. The plane remained marooned at the top of the mountain until 1970, when it was taken down by a helicopter. 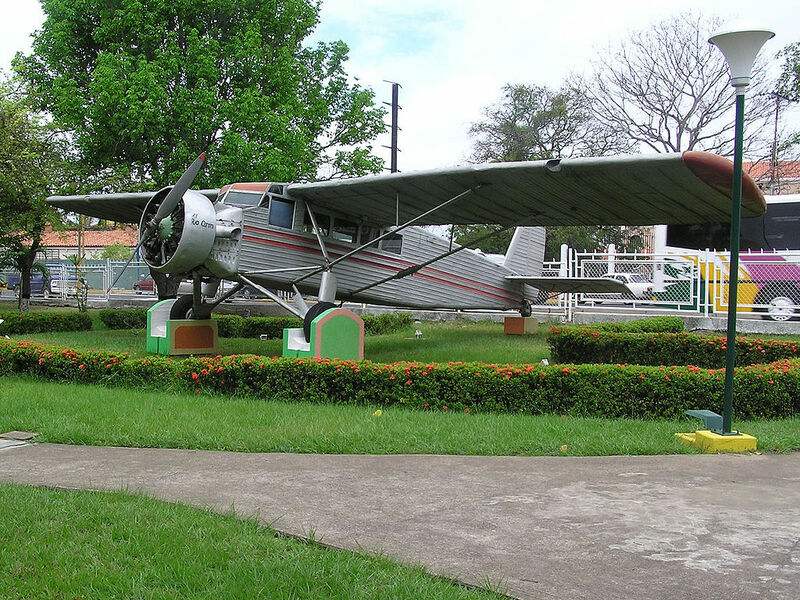 It can usually be seen at the Aeronautics Museum of Maracay. 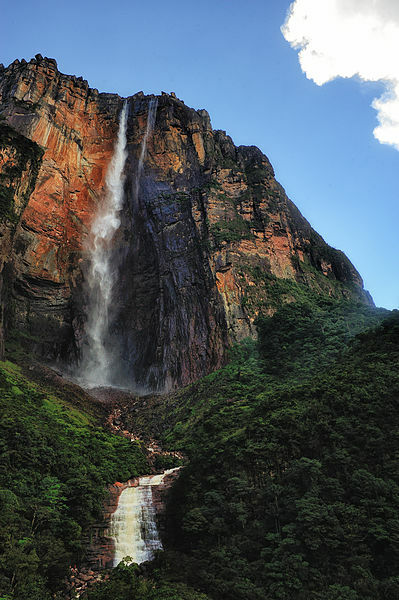 Angel Falls is one of Venezuela’s top tourist attractions, though a trip out to it is a quite a complicated one, as the falls are located in isolated jungle. It requires a flight out to Canaima camp, followed by a boat or jeep ride to the falls. Tourists have only been permitted to visit since 1990. The first visitors stayed at Boulton Camp (now known as Campamento Canaima). These Falls also inspired the setting of the Disney film Up in 2009, although it was called Paraduse Falls. It was also seen briefly inthe Disney film Dinosaur, as well as the 1990 film Arachnaphobia. What a wonderful touching story! Beautiful story Millie. It really stirred my emotions! I enjoyed reading about Angel Falls. It is a beautiful waterfall! The story is wonderful and Angel Falls is fascinating! Thank you so much for participating! Great story & a nice collection of water fall photos! I was away in Punta Cana and it was gloriously nice and hot. I’ll be posting about it soon! Oh how gorgeous. We went to the Dom. Rep. nine years ago and loved it. We had a really hot two weeks and did lots of great things, including a day horse-riding through the rainforest. I’m away all this week, so time for getting onto my blog is limited. I’ll try to do some catching up when I get home. Glad you had a great holiday! I’ll look forward to your post. Thank you so much, ane. There is definitely something quite magical about waterfalls. 🙂 Millie. Thank you so much for that lovely comment. It was such a gorgeous prompt this week. I’m glad you liked my story. Cascading tears. Well done, Millie. Thank you Prospero. Your comment is much appreciated. A heart wrenching story beautifully told. Don’t worry Richard, there’s other fish in the…river? Never mind, nice one Millie. Sorry that Claire could not be with Richard to enjoy the falls. Did he bring her ashes with him? Sad story but I loved it! So sad. Great last line! The story is achingly beautiful! It broke my heart a little bit, but I am also happy as it shows just how much true love can do to people. On a side note, I love the pictures, and the added information. Thank you so much for sharing, Millie! Yes, they are! I absolutely love waterfalls, as well. We only have few ones here, and most of them are not that high. I still think they’re majestic though. Does Angel Falls happen to be your most favorite one? I have a lot of favourite waterfalls. One is the Victoria falls on the Zambezi River in Zimbabwe (Africa). It’s a mighty waterfall, so wide and totally awesome. The Iguazu Falls in Brazil are also one of my favourites- and of course, there’s also Niagara. 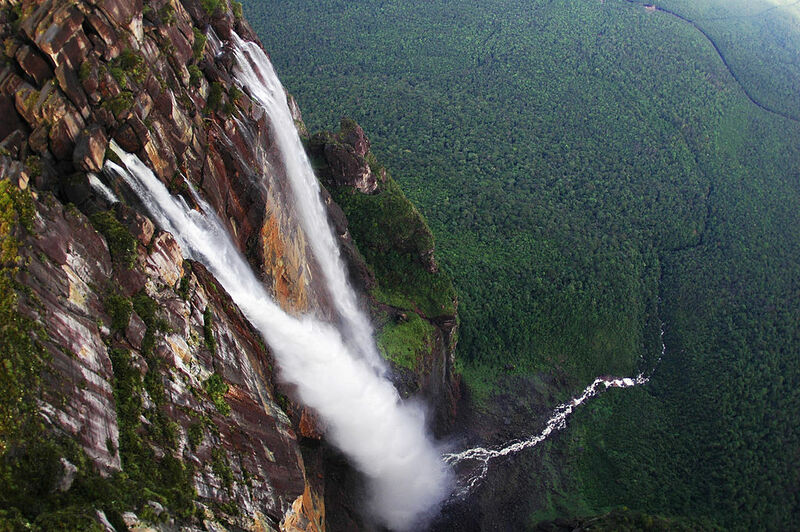 Angel Falls is stunning because of its great height, but in the dry season the flow is limited. I love its setting, out there in the jungle. And he did it for his wife, Awww, that act in itself shows how much he loved her. A beautiful story. Enjoyable all around. Loved the story, and the geography lesson. Another beautiful but sad little story 🙂 But that’s life, isn’t it! Also loved the info and beautiful photos of the Angel Falls. Oh! that animation from the movie Up was really great. It is one of my favourite movies after Ratatouille. Up is little sad and too emotional (for me) compared to the other one. Thank you for this sad but beautiful story. It is always one who has to live with their loneliness. The waterfall is unspeakably beautiful. We are blessed living in this world. We certainly are. The beauty of the world is boundless, and every species is precious, as you own wonderful post so rightly showed. Thank you! I wish people used the internet to learn more about the world we are living in. One day maybe….but Scandinavia takes precedence. June next is my next trip!! What a beautiful story and the photos you added are just stunning!! I love waterfalls, not just to look at but the sound is so grounding. 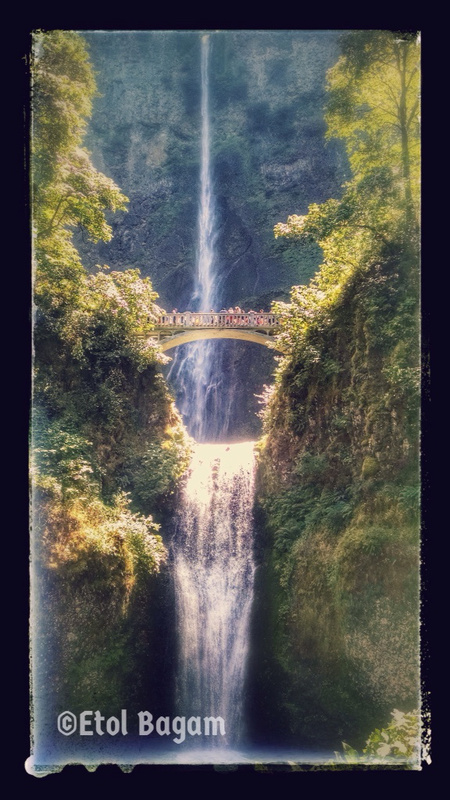 I agree with what you say about waterfalls… they are incredibly grounding. And thank you so much for liking my story, and my pictures. Ohh, so sad. 😦 Beautifully told as always. Did you take the Geography shots? They are so beautiful. I remember my Yr11 and 12 geography classes. We spent most of them in the hills and looking back into the valley where the school was. Your water-falls are fabulous! Isn’t it special? How nature gives us rainbows over waterfalls…Well-done Millie.